The other day I could read this from @enbattrevarldnu who I follow and who I totally think you should follow. Except for his fantastic taste in music he also blogs about environment. //Några fina ord på twitter från Henrik S. @enbattrevarldnu som jag följer och tycker att även ni borde göra! 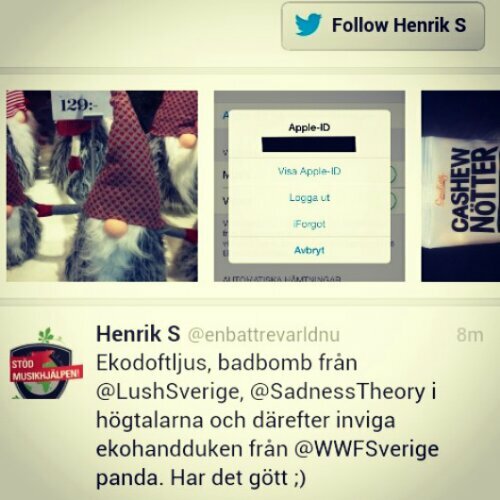 This entry was posted in Music and tagged @enbattrevarldnu, Social Networking, Twitter by sadnesstheory. Bookmark the permalink.